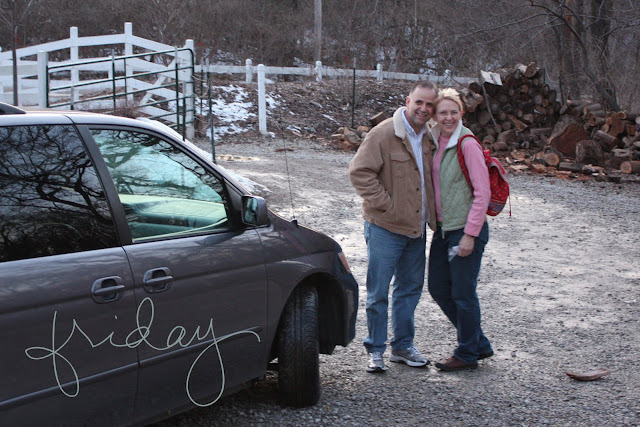 Here are this week's photos added to our Project Life album. Tom and headed out on a little date night. My best friend still after almost 24 years of marriage. So excited to get to purchase some running shoes. It's really fun to get to add running to my workout. My knees are unhappy with me if I run every day, but I'm really grateful to add in running once or twice a week. I won't tell you how very sore I was after my first run! I really thought that with all my biking, step aerobics, etc that I would have no problem running, but my muscles thought differently! Look what we found in my front garden! 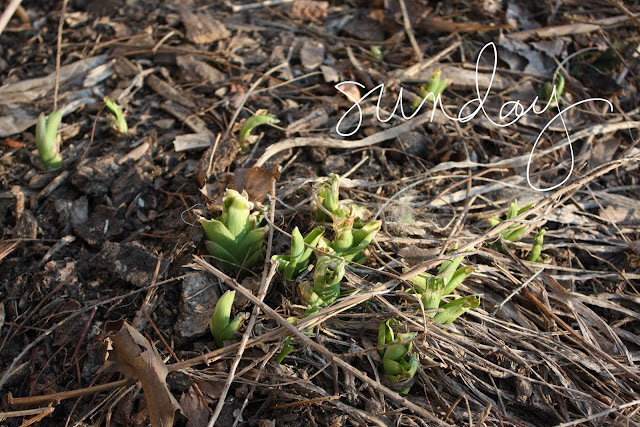 The daylillies are determined that spring *will* come! Love seeing green! I don't think I know anyone who likes to work as much as Jacob does (except perhaps me~ and I can guarantee you that I didn't like to work that much when I was 16!). 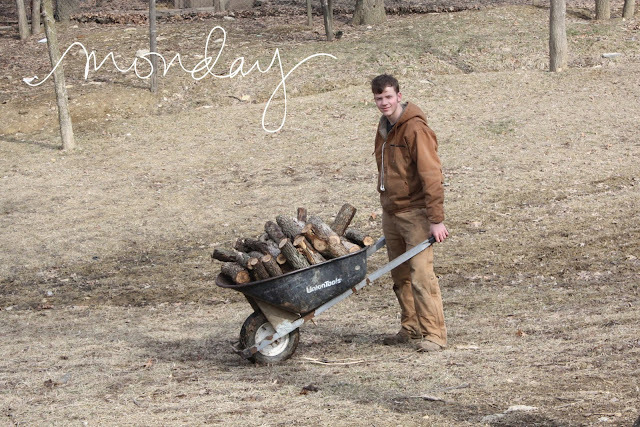 Today I looked out the window and found him carting some wood that he cut up to our wood pile. 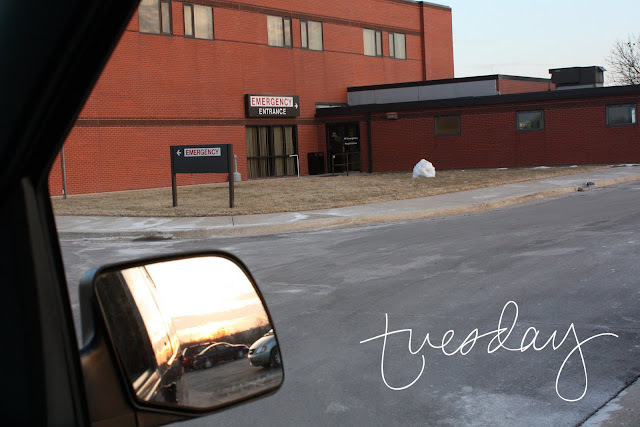 Tuesday was a sad day. My dear grandmother, "Nana" fell and broke her pelvis in two places. I was so glad to be able to be with her in the emergency room. Thankfully she is gradually healing and is back with her husband. I really appreciated the many people who prayed~ and I know that my Nana did as well. 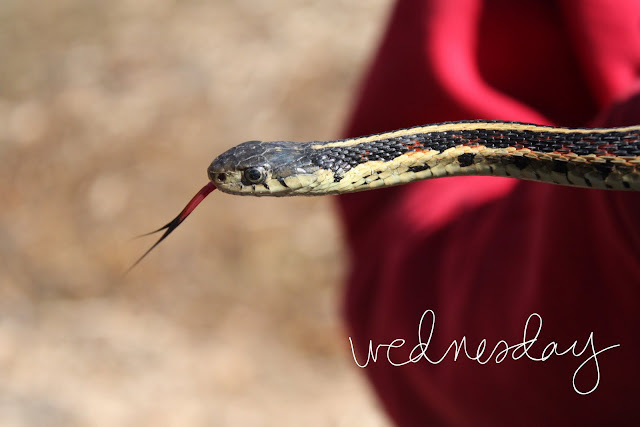 I was completely surprised to see the garter snake that the boys found today. It was only 48 degrees out. I don't think I have ever seen one out so early. He must have been as ready for warmer spring weather as I was! Having so many boys is such fun~ they are forever finding interesting animals and bugs to show me. This totally cracked me up. 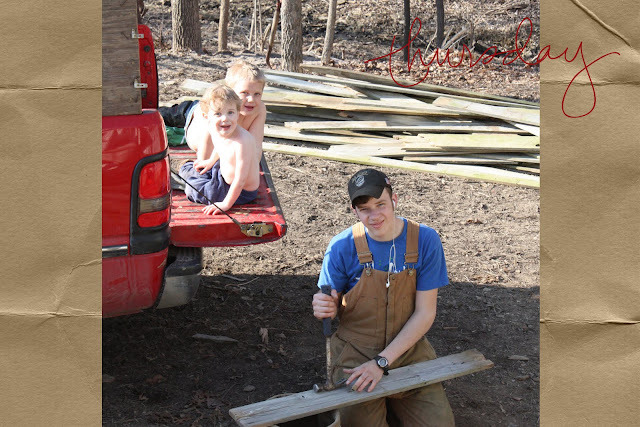 I took my camera out to take pictures of the boys working on removing nails from some wood and caught Dan and Tim sitting in the back of the pickup truck with their shirts off! The sun was shining and 56 F. must have felt to them like mid-summer. I kept taking little breaks from my work to sit in the sun as well. I love looking at your pictures. Your family is just beautiful. All those boys running around would be fun. I could do without the snakes though. So nice to hear you had a date night, we need to do that. I'll keep your nana in our prayers for a speedy and easy recovery. Have another good week and I am hoping for more spring pictures to come up too. Another wonderful set of photos this week!! Great running shoes. My running is seriously falling by the wayside at the moment, I really need to get back into it (been busy with 2 jobs at the moment) so my energy levels are a bit low! Great to see some green shoots coming through. I am praying for cooler days, it is so hot here in South Africa at the moment! Wonderful pictures this week! Great job. 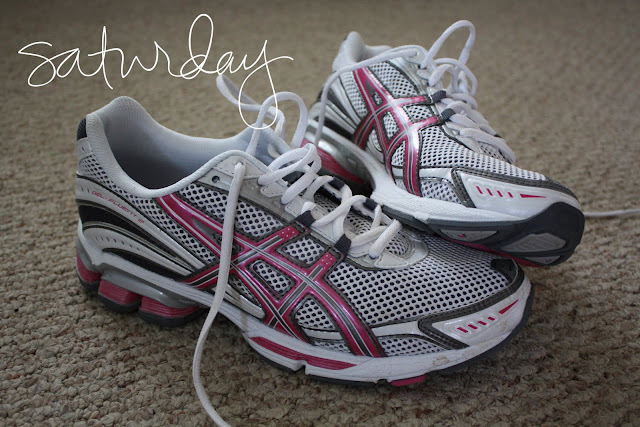 Love the pictures of your running shoes, I have started running again and need new shoes too! It's hard to be motivated in the winter, but spring is coming and getting out and running is feeling great again. Have a wonderful week! Wow, what a week for you! So glad your Nana was able to go home...how traumatic for her (and you)! I love the picture of you and your honey, almost 24 years how awesome! I am sorry to hear about your nana and hope that she is doing well. She will be in my prayers. Oh my! The picture of Dan and Tim totally made my day! Summmer weather :) Great photos and what a blessing to have such a hard worker for a son. What an incredible shot of the snake!! I have 2 little boys and do not look forward to the day they find anything like this!! It's been warm here but not that warm. Today it was in the mid 40's, super duper warm for us! The snow is nearly all melted out of our front yard. All within two days! Great pics! Cute running shoes. I don't run, but my sis does and I've thought about doing a bit of jogging during my normal walk. I need to get some new shoes though. Rene, wow! Two jobs~ you are busy right now. Hope you can get running again soon! Delane, hope you can run soon as well! Yes, the spring weather is a good motivator, isn't it? Katrina and Susan, thanks for stopping by and commenting~ good to see you here! Camille, I remember your pic recently of you and your honey ice skating! Isn't it good to delight in your relationship with your husband. What a blessing, indeed. Thanks for your kind comments, friend! Hi Sharon! Are you getting some nice weather there in CO? Hiking weather will be here soon~ I can hardly wait! Amy, actually the snakes aren't that bad~ as long as the boys aren't bringing me poisonous snakes! The baby copperhead snake was a little *too* exciting, even for me! LOL! Debbie, I had no idea that the snake would cause grief for so many women! LOL! It was really a very friendly snake... honest! Amy... new shoes do make a big difference~ my muscles still voiced their complaints though!